Augsburg - FC Augsburg lifted themselves off the foot of the Bundesliga with a 3-1 win over SV Werder Bremen on a night of premieres at the SGL-Arena. Augsburg could barely have dreamt of making a better start to the game as they scored after just 94 seconds. Bremen's defence appeared to be still organising itself after the kick-off and Paul Verhaegh's cross was a perfect invitation for Werner to dive in and head the ball low past Sebastian Mielitz. Bremen took a deep breath and responded well, with De Bruyne launching their charge down the right. The youngster went close with a ninth minute shot while Marko Arnautovic wasted his next cross moments later, placing his effort wide of the post. Joseph Akpala brought Augsburg goalkeeper Amsif into the action for the first time in the 16th minute with a curling srike which was saved acrobatically. A goal was in the air and it duly arrived when De Bruyne whipped in a free-kick which evaded everybody, including Amsif, to nestle in the far corner. It was Augsburg's turn to respond and they rose to the challenge, with Jan Moravek blazing a shot over from 10 yards before Hain restored their advantage with his first goal of the season. Knowledge Musona helped him carve through three Bremen defenders, before setting him up to beat Mielitz inside his near post. Amsif denied Junozovic and Arnautovic dragged a shot wide as Bremen once again tried to fight their way back. Bremen came out after the break committed to pulling level again, but it was Augsburg who had the first big chance of the second half when Mielitz pushed Verhaegh's cross to Musona, but his reactions were not quick enough to direct the rebound into the gaping goal, instead guiding it over. Augsburg did eventually wrap up victory in the 72nd minute with Mielitz making a costly error of judgement. Having lined up his wall to cover the right-hand side of his goal as Baier lined up a free-kick, he then lost faith in the impenetrability of the barrier and stepped towards his right. Baier lifted the ball into the unguarded side of the goal to secure all three points for the hosts. 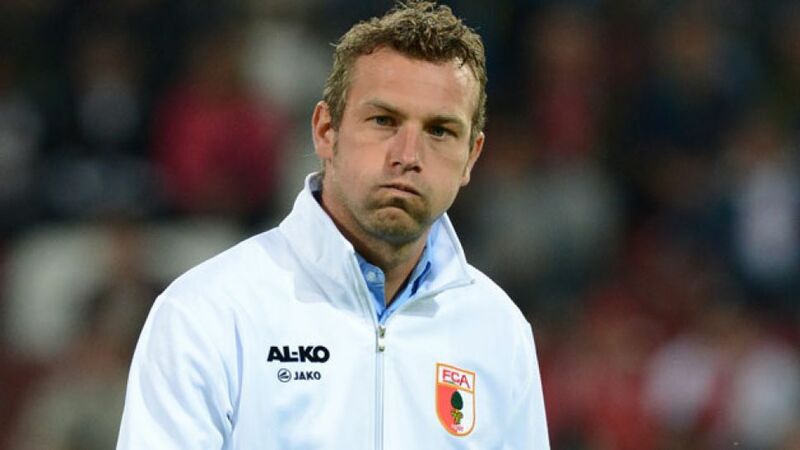 Augsburg missed further chances to make the win more convincing, but coach Markus Weinzierl will not be compaining too louldy after claiming maximum points for the first time this season.